What Happens When Audiophiles Die? This fall my stepfather died in his sleep in Philadelphia. He was 69 years old and somewhat of an audiophile. He kept maintaining his vintage audio gear like a Dynaco Stereo 70 and paid for his Stereophile Magazine subscription year after year. It was a hobby that started for him as young man and one that stayed with him even if a little less enthusiastically, through his entire life. John's famous audiophile story was how he bought AR 3a speakers in 1964 after hearing them in Grand Central Station in 1964. Until his passing, he held on to these antique speakers despite the fact that only about half of the total drivers worked and his loving stepson had bought him a new pair of MartinLogans last Christmas. Perhaps part of the fun of the hobby is the stories and adventures that go into the acquisition of the specific gear. While John's Adcom, Anthem and MartinLogan based system lives on with my mother, the issue of audiophiles dying is becoming something that I am hearing about more and more these days. Audiophilia is a Baby Boomer hobby without question as the iPod generation hasn't quite gotten the bug the same way. 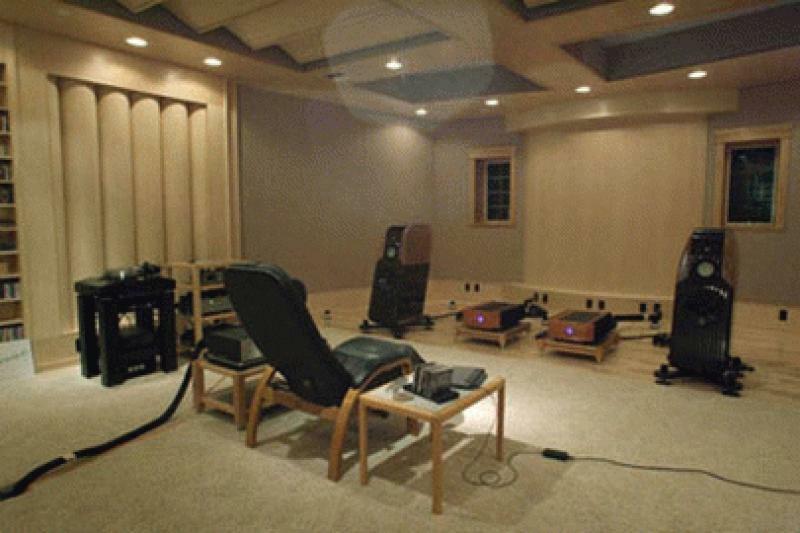 A friend of HomeTheaterEquipment.com Admin and HomeTheaterReview.com audiophile reviewer, Jim Swantko, asked him to help the family lawyer liquidate a very high end audiophile system in North Carolina last year. The lawyer (you gotta love lawyers) wanted close to 80 cents on the dollar for used gear and the products didn't sell. The family was disappointed when they didn't get the money that they were told they were going to get for an audiophile system. Sadly, they had received bad advice. Because of my background selling the legendary Cello Music and Film System from the 1980s and 1990s while working with Mr. Mark Levinson - I have recently heard of not one but two full Cello reference systems up for sale from estates. People have found me likely because of Google searches on Cello and are seeking advice about what these uber-exotic audiophile systems are worth today. Most are realistic about valuations but few have considered the logistics and labor needed to market, sell and ship an audiophile system posthumously. If you plan on selling off a system product by product - it can be very time consuming, back breaking, costly and often frustrating. 1. Call or email your estate planner and or family lawyer and have your audiophile system listed as an asset in your will or trust. Are you giving it to someone or should your estate sell it? Its your call but a call that you need to make before you croak. 2. Make a list of your components including the exact model numbers and retail prices. If you want to get fancy, look up the Audiogon.com Blue Book prices to give an idea of what your system is realistically worth used. Make sure this document is part of your will and or trust. 3. Make a list of what stores you bought the gear from and who are the contacts there that can help you with service, packing and breaking down the system. While it will be sad to see a beloved audiophile system torn down, its well worth the $150 or so per hour to hire a professional crew to come in and do it right. They can help you box, crate, pack, organize and ship products. In the case of products in the uber-stratosphere of audiophila - they often have buyers who can buy the products from the estate thus can be a wonderful resource. A brokerage fee would be well worth paying to get your products moved on to people who will love them. 4. Make sure your audiophile components have a specific insurance policy. If your heirs will keep your valuable system - make sure they know that they should insure the products with a specific rider on a policy much like you would your wife's engagement ring, your fine watches and your art collection. Do not assume that if you had a catastrophe in your home or your heir's home that their home owners or renters policy will cover an expensive audiophile system. Planning for your eminent demise is never fun or uplifting but considering how many times I have heard of terrible estate planning recently - treating your big dollar assets like an audiophile system with a little care and planning can help preserve your system's worth and or protect that the gear goes on make other people happy. If you are not rocking $100,000 or more worth of audiophile equipment - you might will your system to a local music department at a school or university. Perhaps your music collection and high end audio rig can make other people share your love for music. Putting a little money aside to hire professionals to move the equipment, software and properly install it would likely be in order if you decided to go down this path. Its important to remember that used audiophile equipment isn't like blue-chip fine art, a garage find Ferrari race car or a vintage Patek Philippe timepiece. Audiophile components lose value over time even rare products like a Cello system. 50 cents on the dollar would likely a high price for the best, most modern products and remember you likely have to pay someone to sell the stuff on Audiogon, pack and ship it. At the same time, premium audio components don't sell for 10 cents on the dollar either. In a perfect world, it is often best to find a broker or collector to buy the entire lot so they can sell off the pieces for maximum prices. You get one payment and move the asset on to someone more well equipped to deal with making the most profit from selling each component at the going market price. • Read Steven Stone's Audiophile Blog at AudiophileReview.com here. • Read about a stash of Cello components that ended up with a dealer in Denver. Here's hoping that we all live for a long, long time and enjoy every penny that we invest into our high end audio rigs but just as you may donate an organ to help another - perhaps you will make sure your music system is passed on to people who will love it and or its components the way you do today.